Thank you for bringing up this topic. I am about ready to write a topic on a similar theme over at our blog–as a middle-aged female performer, I appreciate the attention you have brought to the subject. There are a lot of middle-aged women performing in cabaret–I hope that it is less sexist and agist than some of the other performance forms, like theatre. Your review writing, as always, is sharp and detailed and a joy to read. She’s never been away. Toured for years and released CDs regularly. Still great. Thanks for your comment, Stephen. 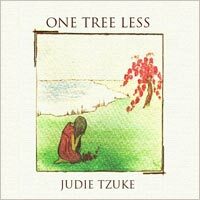 No, Judie Tzuke has never been away but, as I’ve tried to say in my review, like so many other female singers she deserves a much higher mainstream profile than the pop and rock press has accorded her. agree – she never had the plaudits she should have had… however the voice is still excellent! Thanks for your comment, Mark – and yes, it’s one of those voices that stays the course (and actually becomes even more compelling with the years). An excellent album full of emotion as always. Take the chance to catch both Judie and Bailey on this tour as you never know when the wonderful magic may end. Thanks for commenting, James – let’s hope the magic continues for a while yet! This is one of my all time favourite albums. I love the tracks ‘Joy’ and ‘Humankind’ – both truly haunting and soulful. Thanks for your comments – this album has struck a chord with many people, and it’s great to see Judie’s profile riding high.